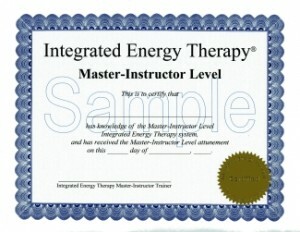 Master-Instructor Level - You Can Learn IET! IET Attunements, and Teaching others how to heal their lives: You will learn how to use sacred geometry to give Basic, Intermediate, and Advanced level IET attunements. Then, in support of your living your reach, you will receive 6 Basic, 6 Intermediate, and 6 Advanced re-attunements designed to open and strengthen your channels of manifestation. We call it our IET Energy Fun Fest! 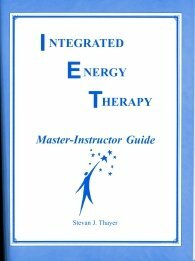 If teaching is your gift, this class provides you with agendas, guidelines, and suggestions for teaching and certifies you to teach the Basic, Intermediate, Advanced, Pets, Kids, and Healing Angels IET classes. Cancellation Policy: If a student (or reviewer) cancels more than 30 days prior to the first day of the training class, the deposit will be refunded minus a $50/€50 (or equivalent) processing fee, or the full deposit will be applied (once) to a future class offered by the Trainer. If a student cancels 30 days or less prior to the first day of the training class, they will forfeit their entire deposit.